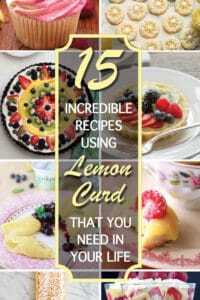 Home » Recipes » Dessert » 25+ Overripe Banana Recipes – The BEST Ways To Use Them Up! Wondering what to do with overripe bananas? If you have a counter or freezer full of overripe (or perfectly ripe) bananas, this post is for you! 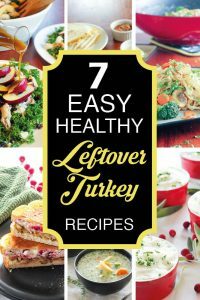 These are the BEST ways to use them up – healthy recipes, easy recipes, ideas for kids and some unique ones too. Even some gluten free, vegan and keto options! Is there anyone who DOESN’T have a freezer full of overripe bananas?! I love bananas, my kids love bananas. They are healthy, delicious and CHEAP. You know what else is awesome about bananas? Unlike most other produce, when they’re past their prime for eating fresh, they’re PERFECT for baking with! If you’re not ready to bake, throw ’em in the freezer for another day. Eventually, though, you’ll find yourself wondering, “What can I do with a lot of frozen bananas?” Friends, we’ve got you covered. We’ve been working our way through our freezer stash, making banana loaf, banana smoothies, banana muffins, banana cookies and no bake banana snacks. We’re looking forward to trying out even more delicious and healthy banana recipes! 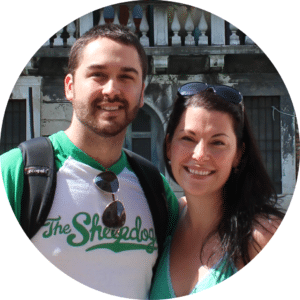 One of the best ways to save money on groceries is to make sure you’re eating the groceries you’re buying! 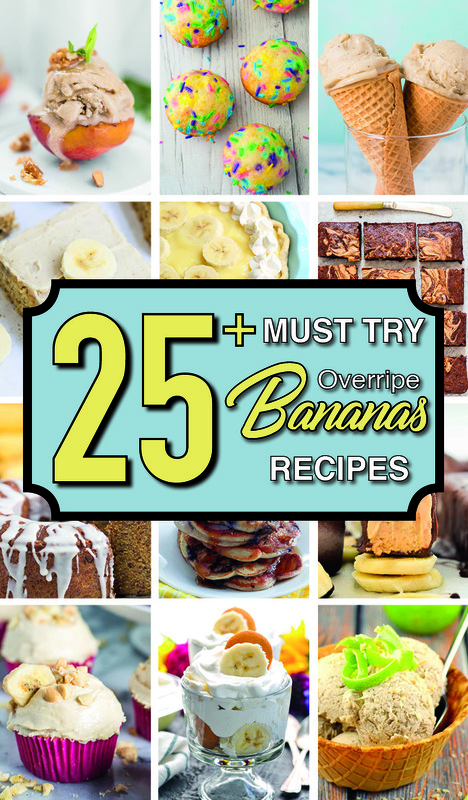 Read on for 25+ amazing overripe banana recipes to help you waste less food! What is the best way to store bananas at home? 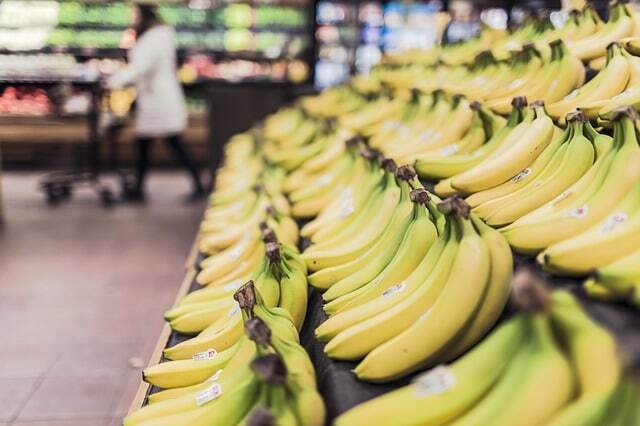 Store bananas at room temperature until they are ripe. After they’re ripe you can store them in the fridge to slow down the ripening process. Many people say that if you wrap the top of the banana stems in plastic wrap the bananas will ripen more slowly. How do you preserve ripe bananas? The easiest thing to do with ripe bananas if you won’t use them anytime soon is to freeze them. You can freeze them either in the peeling, or peel them first and place in a freezer bag. If you freeze them in the peel, the peeling will turn dark brown/black (don’t be alarmed!). How can I use bananas frozen in the peeling? You can either defrost the bananas for a minute or two in the microwave and scoop out the flesh from inside the skin, or let them soften on the counter and use a sharp knife to cut the skin off. According to Thrillist, you can poke a banana all over with a fork and microwave it for 30 seconds to 1 minute to ripen it quickly! 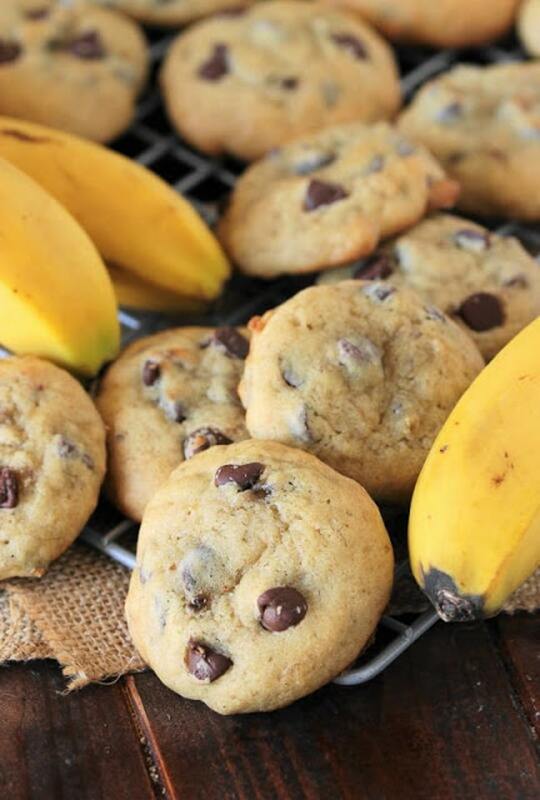 Great for those times you want to bake but only have under ripe bananas! Breakfast foods are one of my favourite ways to use up ripe bananas! From banana pancakes, waffles, scones, and even oatmeal and granola, there are tons of easy banana recipes here. 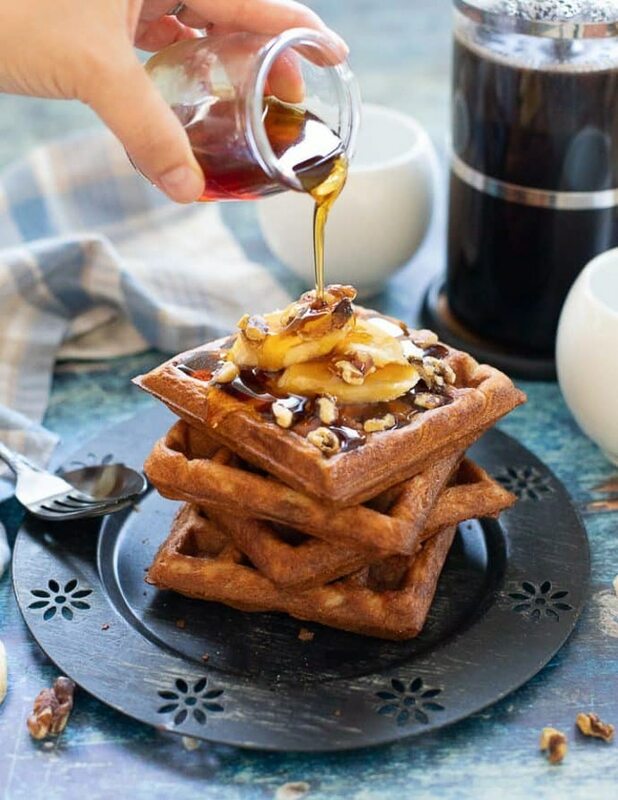 💛 These Banana Waffles from A Virtual Vegan are perfect for a relaxing brunch, or for batch cooking for the freezer! 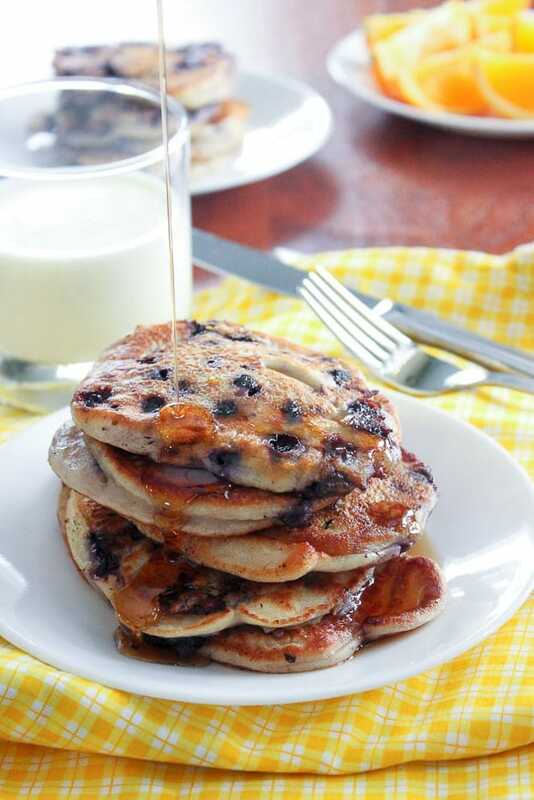 💛 Mama Cecile’s Healthy Yogurt Pancakes (from US – Delicious on a Dime!) are delicious, healthy, and the perfect blank canvas for whatever kind of fruit you want to use. Mashed banana is delicious (and even better if you add strawberries or blueberries!). Plus, they’re super freezer friendly! 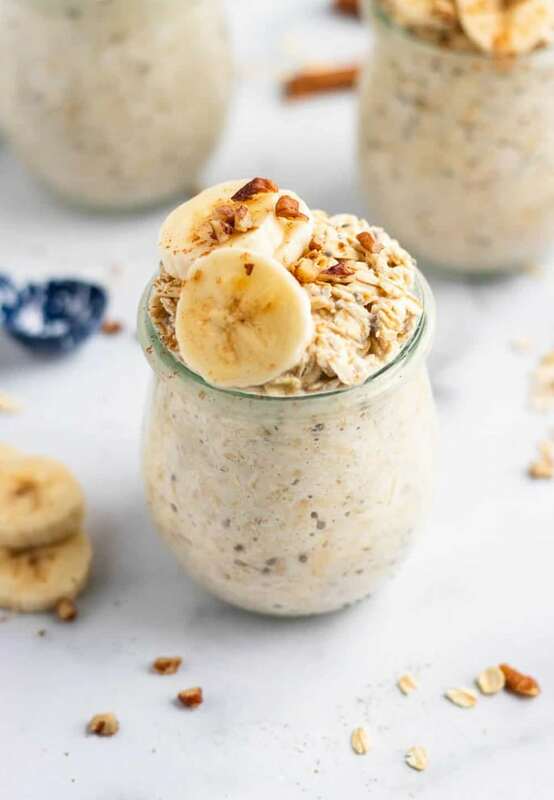 💛 These Banana Bread Overnight Oats from Lemons and Zest look like such a healthy and comforting breakfast to wake up to! I love that you can make a whole bunch of them ahead of time and have breakfasts ready for the week. 💛 I’ve never made banana jam, but you can bet it’s on my list of new recipes to try, after seeing this recipe from Mom Foodie: Grandma’s Banana Jam Recipe. Plus, it would make an awesome gift! 💛 I love the sound of this Banana Museli from Wendy’s Way to Health – such a healthy, homemade twist on breakfast cereal! 💛 Scones are such a delicious breakfast treat, and I plan to make these Banana Oat Scones from PKP Way for our next lazy Saturday morning, along with a big pot of delicious black coffee. YUM. 💛 Joy Filled Eats brings us this Healthy Baked Oatmeal packed with bananas and blueberries – a hearty and cozy breakfast! As a bonus, it’s also gluten free, dairy free and sugar free! 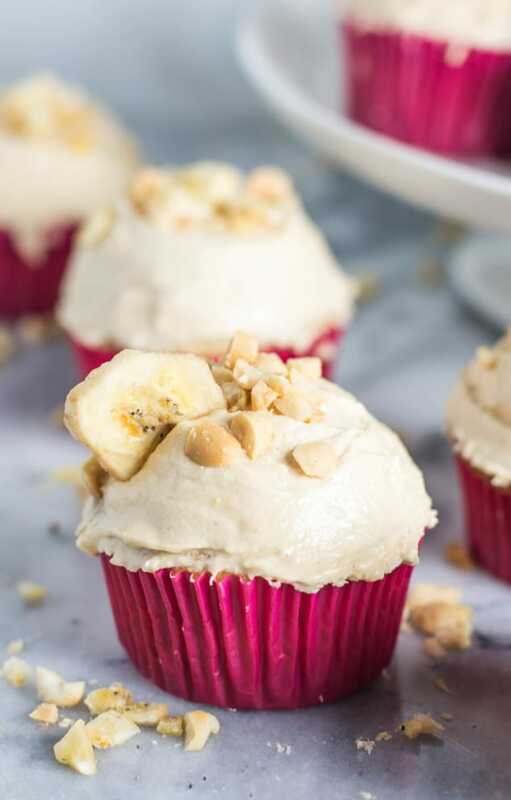 Whether you’re looking for a healthy banana muffin recipe, or something more like a banana cupcake treat, these are great ways to use up those ripe bananas! Make them mini banana muffins for toddlers and kids! 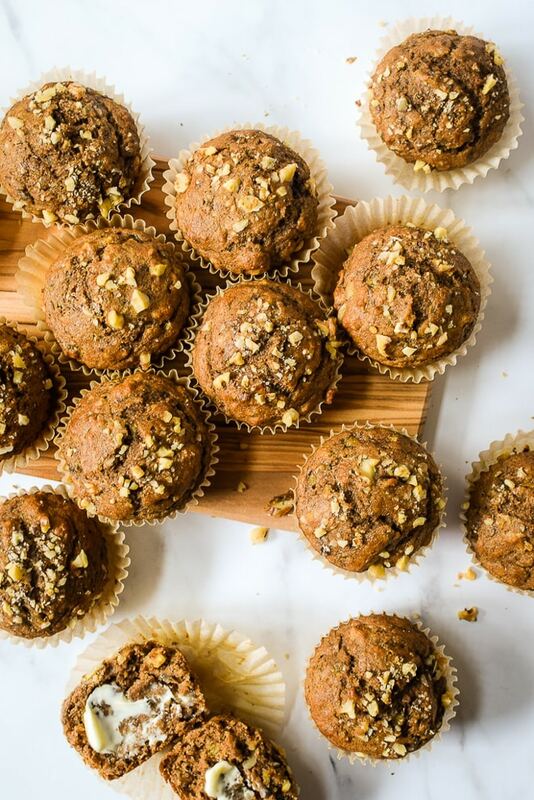 💛 These Whole Wheat Banana Nut Muffins from Run Lift and Eat are packed with real, wholesome ingredients and are kid-approved! 💛 OMG! 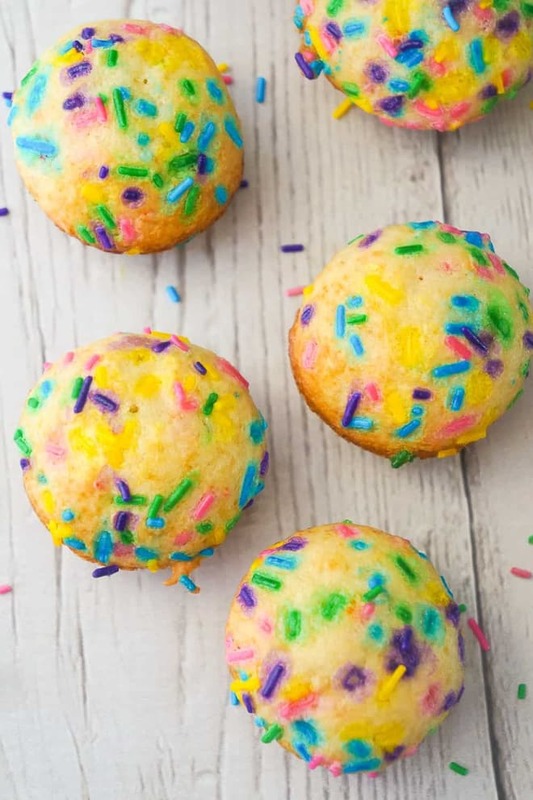 HOW MUCH FUN are these Mini Birthday Cake Banana Muffins from Not Diet Food?! I can’t wait to make them as a treat for my kids! 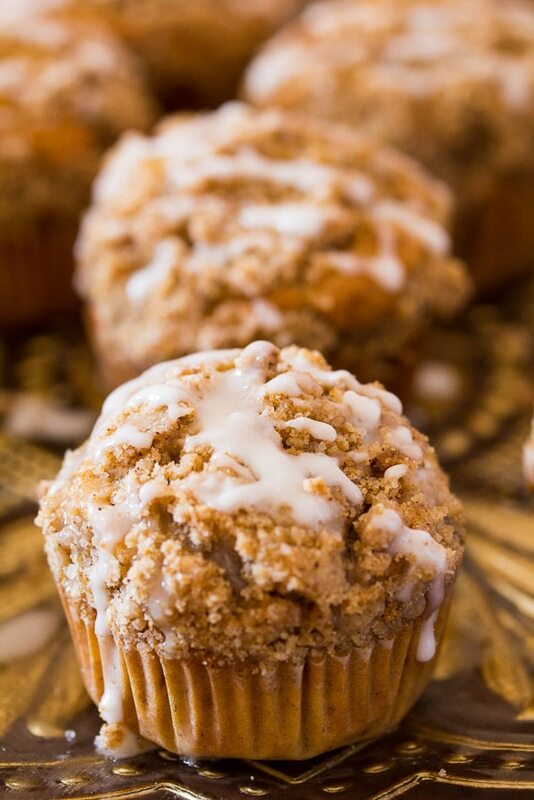 💛 There is something about the streusel and vanilla drizzle on these Best Banana Muffins from I Knead to Eat that gets me every single time I look at them. They’d be the perfect sweet treat with afternoon coffee or tea. 💛 You know how bakery muffins are always light and fluffy, with that perfect domed muffin top? These Bakery Style Chocolate Chip Banana Muffins from Kitchen Sanctuary replicate all those lovely features – right in the comfort of your own home. 💛 Bananas and strawberries are always a crowd pleasing combo, and these Healthy Banana Strawberry Muffins from Tilly Eats are fast, easy, SUPER healthy, and delicious looking! 💛 There’s something so comforting about classic Banana Oatmeal Muffins, and this recipe from Older Mommy Still Yummy is a keeper! Check out those perfect domed tops! Whether you’re looking for a healthy banana smoothie or protein shake, or a tropical banana cocktail, check out these delicious ideas. 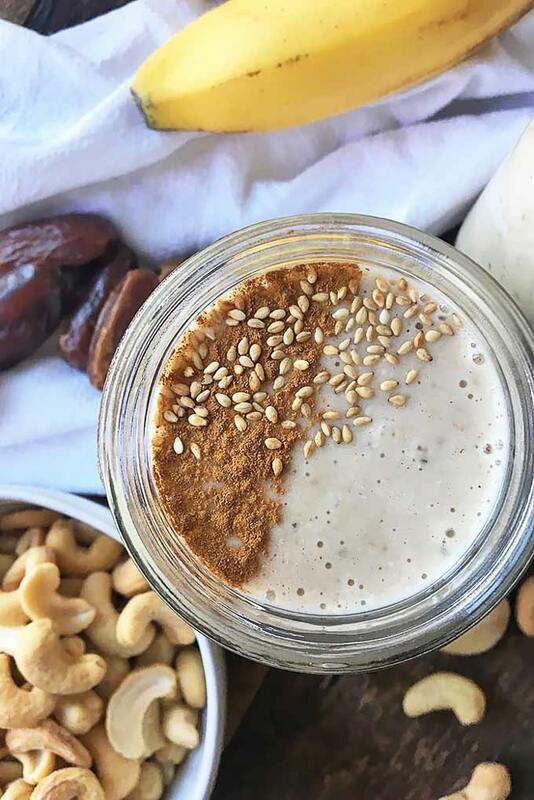 💛 This Dairy Free (and Guilt Free) Tahini Banana Smoothie from Foodal is creamy and silky, but is SUPER healthy and has no added sugar! 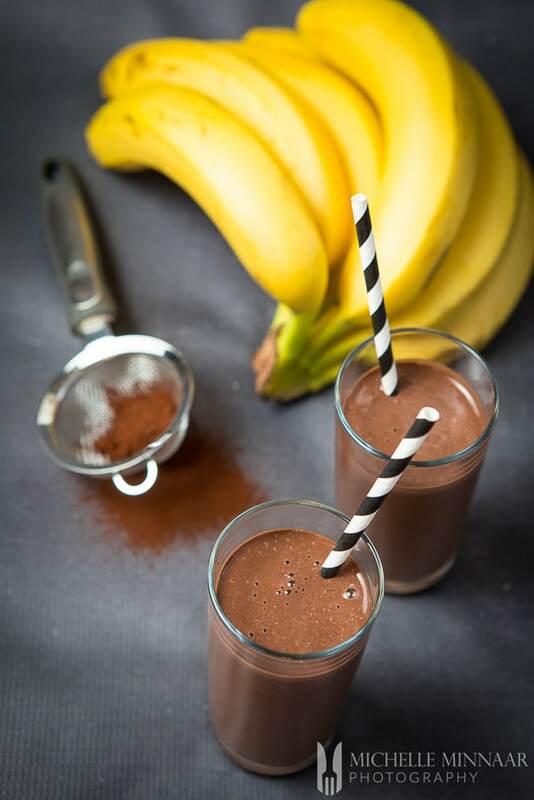 💛 This Chocolate and Banana Protein Shake from Greedy Gourmet looks like an indulgent treat, but it’s actually a healthy, protein packed, satisfying snack that you can feel great about! 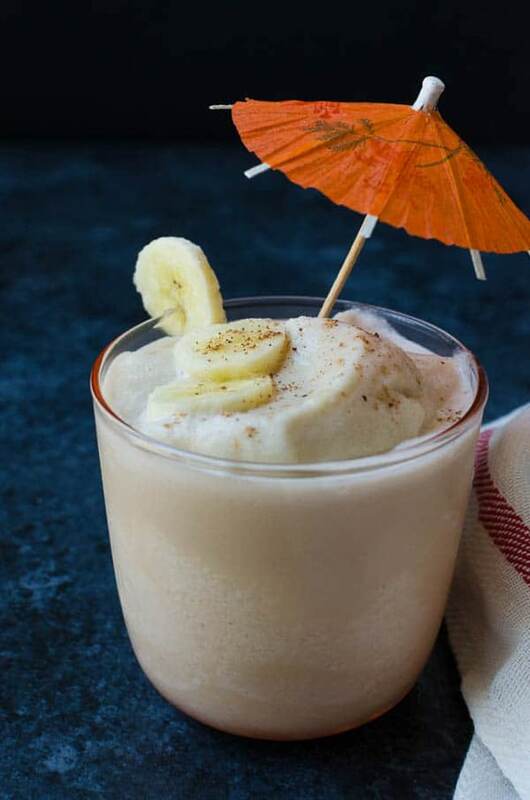 💛 Oh my, I am excited for the beautiful weather that’s coming, so that I can blend up some of these amazing looking Banana Cabanas from Garlic and Zest. They look so icy and delicious! If you want to turn your pile of ripe bananas into easy banana snacks, we’ve got suggestions that are healthy, some that are no bake, and some that are just plain addictive. 💛 Here’s one of our recipes! 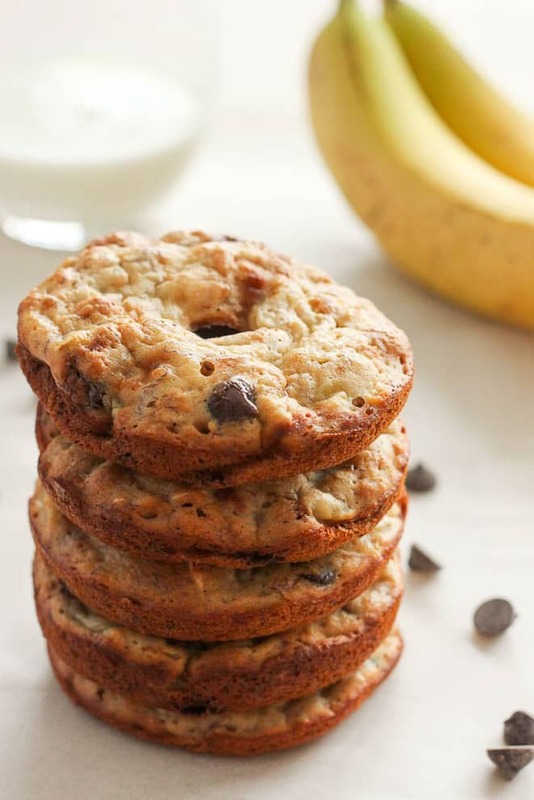 These Healthy Donuts with Banana and Chocolate Chips from Delicious on a Dime are super yummy and surprisingly healthy! They’re a great make ahead recipe for easy lunches! 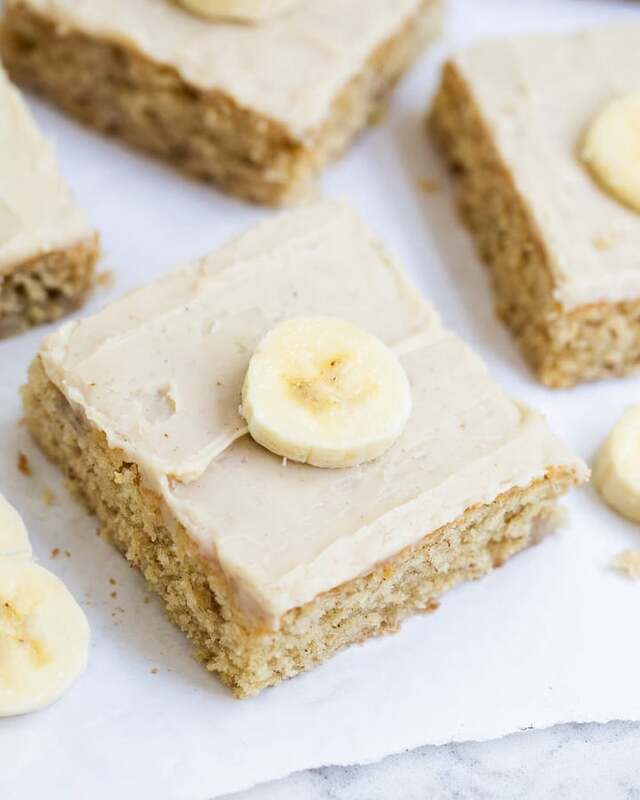 💛 I could pretty much swoon over these BEST Banana Bars with Brown Butter Frosting from I Heart Naptime! First of all, anything with brown butter = AMAZING. Second, they just look so soft and moist! I can’t wait to make them! 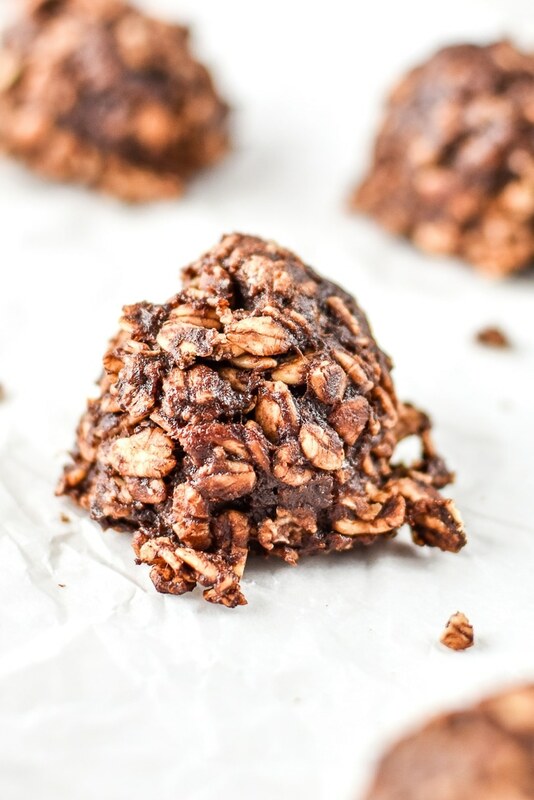 💛 I love the sound of these Banana Chocolate Oatmeal Cookie Mounds from Project Meal Plan because they sound so different from regular cookies! They’re also reasonably healthy (aside from the chocolate chips, but oh well! ), and use up a bunch of bananas! 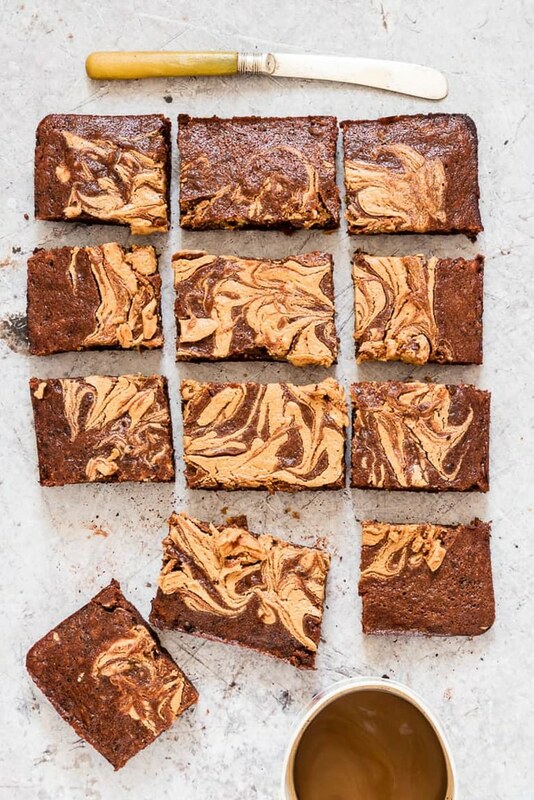 💛 These Peanut Butter Banana Brownies from Recipes From a Pantry are a one bowl recipe that is secretly healthy! They’re also vegan, but you won’t miss the dairy or eggs! 💛 If you’ve never had pan fried bananas, you’re in for a treat! 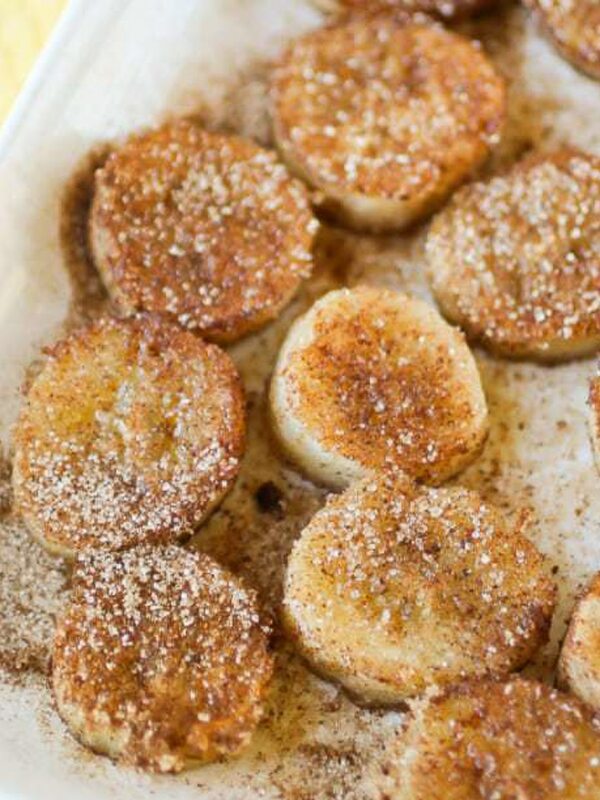 These Pan Fried Cinnamon Bananas from Dizzy Busy and Hungry look AMAZING. Such an easy snack! 💛 These Banana Chocolate Chip Cookies from The Kitchen is my Playground taste like a traditional chocolate chip cookie, laced with banana! Such a match made in heaven! 💛 We really love energy balls around here, and these Banana Bread Energy Balls from Kitchen Sanctuary look like the next ones on our list to try. Super easy to make and a big hit with the whole family! 💛 This make ahead Banana Pudding Dip from Dip Recipe Creations looks super tasty and I can’t wait to try it! I’ll have to whip it up sometime I want to use up extra ripe bananas, instead of overripe ones! 💛 My kids love snacking on these Addictive Chewy Dried Bananas from Attainable Sustainable. They’re such an easy, feel-g00d snack! 💛 These Clean Eating Banana Blueberry Cookies from Tasting Page make a super healthy breakfast or snack (and my kids will always eat breakfast if there are cookies on the menu!). 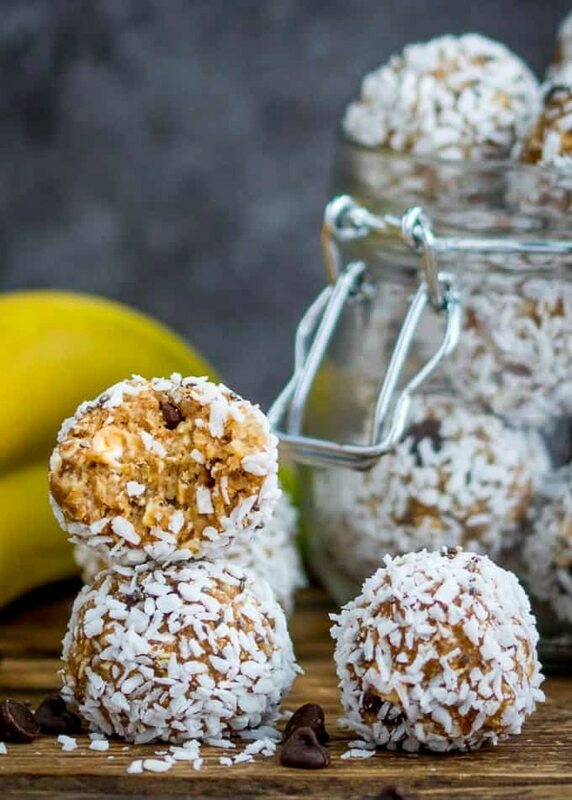 💛 These No Bake Banana Bread Bites from Lemons & Zest are another great energy ball that you can easily whip up to have healthy snacks on hand. 💛 These No Bake Banana Energy Bars from Neils Healthy Meals are packed with healthy fruit, seeds and nuts, but NO refined sugar. Perfect for a mid-afternoon snack, without the sugar-induced crash after! At the other end of the spectrum, there are some awesome desserts to make with bananas. Fancy desserts, healthy banana desserts, easy banana cake recipes and more. If you’ve ever wondered how to make banana cake at home, (or souflees, or pastries, or more), read on! These are show-stoppers! 💛 I can’t wait to make this Quick and Easy Banana Pudding from The Seasoned Mom this summer! It looks so cool and refreshing, and I love that it’s no bake and simple to make ahead! This is one for ripe bananas, as opposed to overripe. 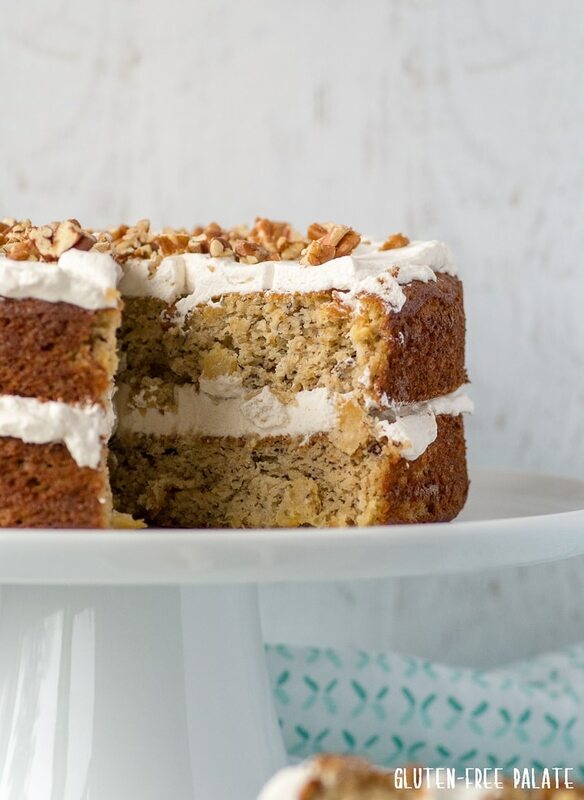 💛 This Easy Banana Cake with Cream Cheese Frosting recipe from Eat Little Bird uses yogurt to make it light and moist. Doesn’t it just look so simple and perfectly satisfying?! 💛 This Boozy Banana Ice Cream & Grilled Peaches recipe from Chef Sous Chef sounds like SUCH a lovely summer dessert! 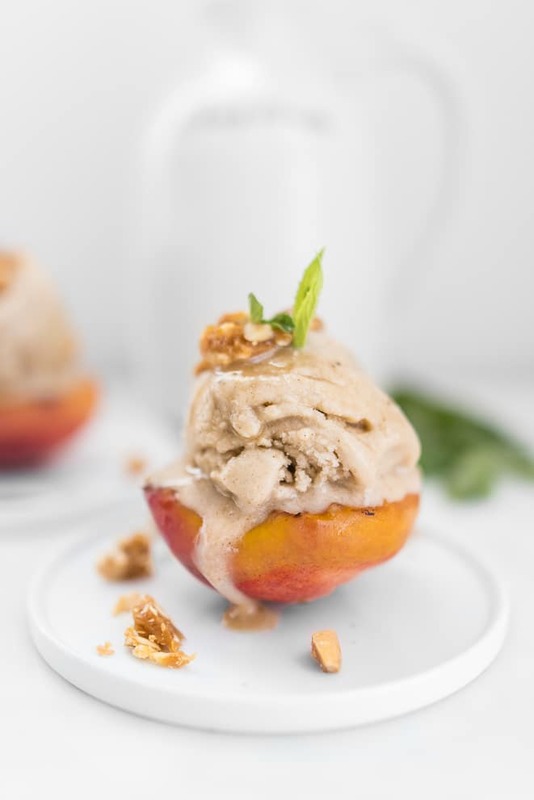 I really love grilled fruit in the summer, and I think that this boozy banana ice cream will take these peaches over the top! I can’t wait to try it! 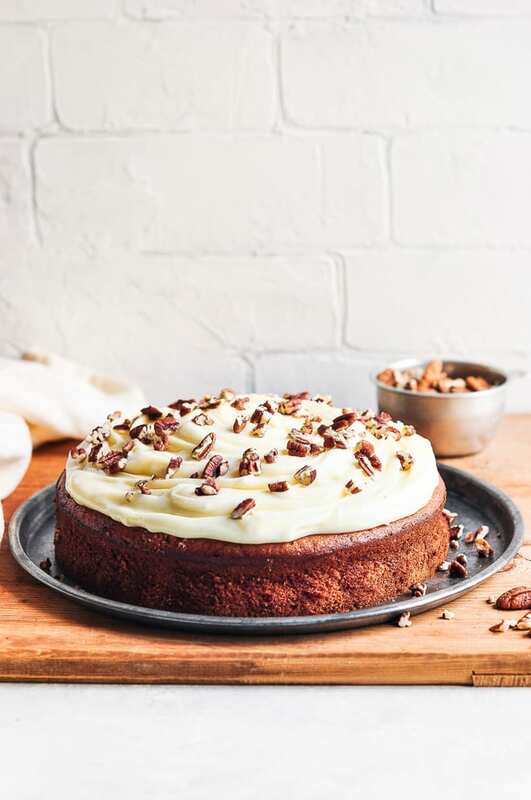 💛 I have a serious love of hummingbird cake, and this Grain Free Hummingbird Cake from Gluten-Free Palate is also dairy free (and refined sugar free)! 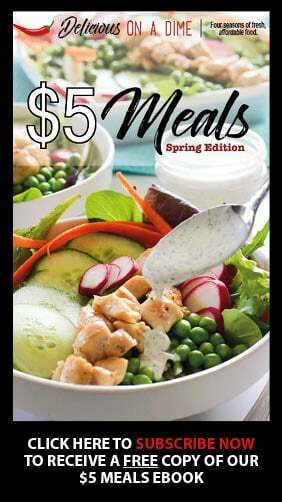 What an awesome and delicious way to accommodate a lot of different diets! 💛 These simple 3 Ingredient Banana Nutella Pastries from Went There 8 This are SO easy, but SO delicious. In fact, I kind of want to whip some up right now! 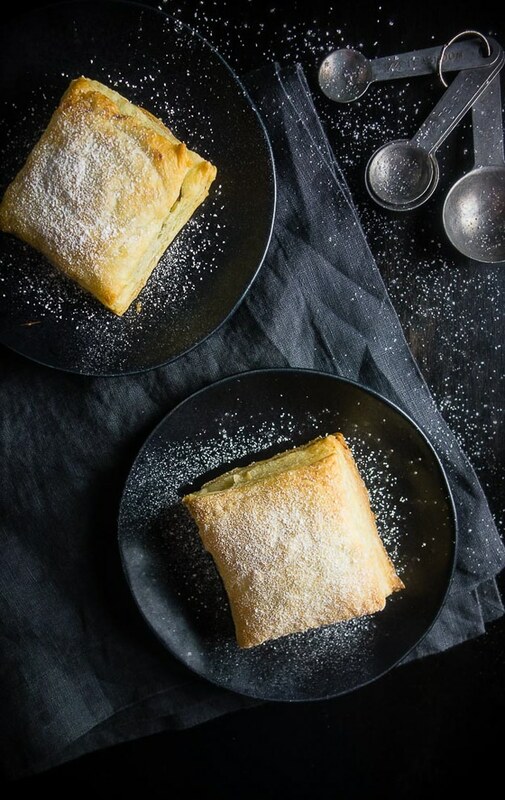 I have puff pastry in the fridge, so we could be eating these babies in 20 minutes! 💛 This Chocolate Banana Babka from Occasionally Eggs is STUNNING! 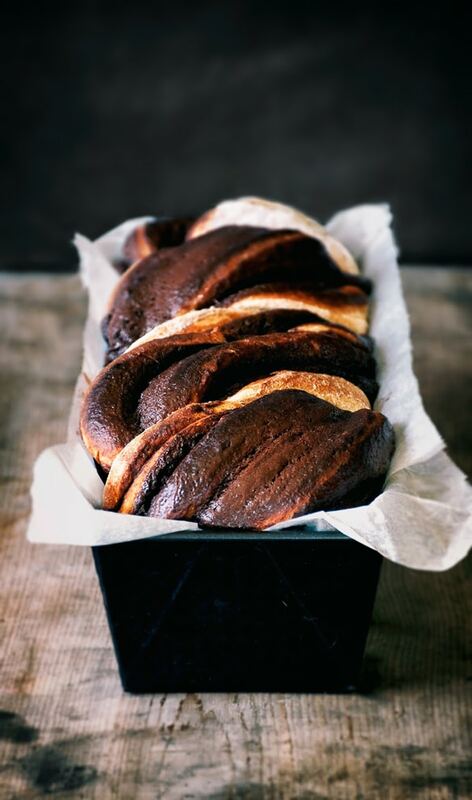 I really love babka, because it’s a different type of sweet treat – a cake like yeast bread that is SO good with a hot cuppa whatever you like (coffee for me, please!). And this version is gorgeous. 💛 I have a REAL weakness for souflees, and these Roasted Banana Souflees from The Real Lokness look so light and airy! They get their intense banana flavour by roasting the bananas. I can’t wait to make them. 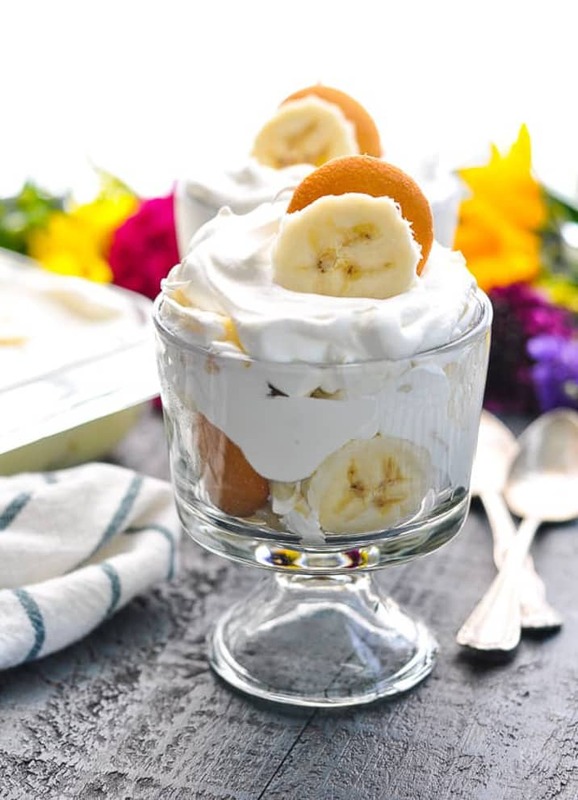 💛 This Banana Pudding from Fab Food 4 All is a British-style pudding, meaning it’s more like a cake than what we think of in North America as pudding. Serve it warm with a scoop of vanilla ice cream. Such a great way to use up five bananas! 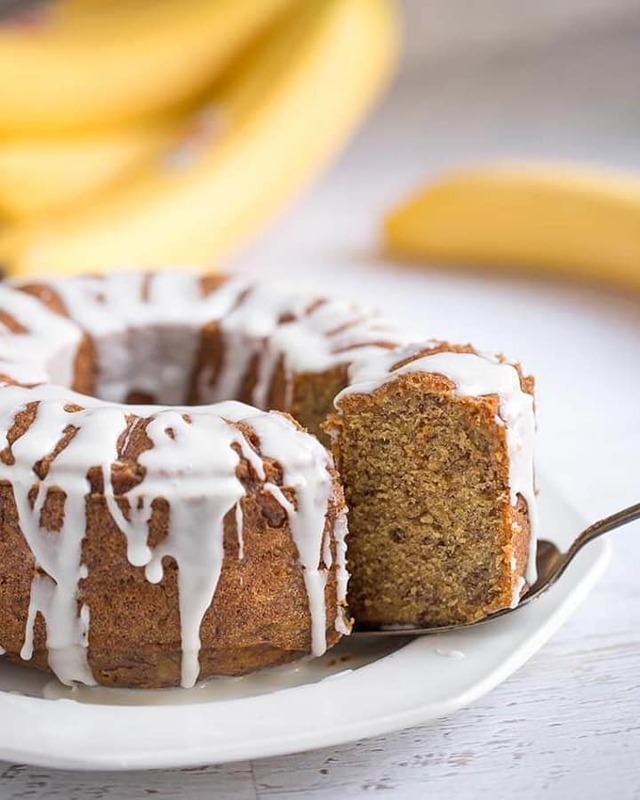 💛 This Banana Nutella Swirl Bundt Cake with Coffee Icing from Christina’s Cucina sounds so perfect for an afternoon coffee date or tea party. It’s beautiful and elegant and the nutella swirl makes it extra special! 💛 Toasted Banana Caramel Sauce from Veggie Inspired is the perfect topping for pancakes, waffles, or ice cream or an amazing dip for fruit! 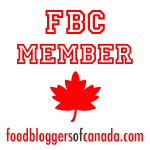 Bonus – it’s dairy free! 💛 Sometimes you just want a classic banana cake recipe, and this Best Banana Cake from Sugar and Soul is just that. Paired with a tangy cream cheese frosting, it’s easy and will be your new fave! 💛 Impress your guests with this Banana Chiffon Cake from One Armed Mama. It’s light and airy, but with a rich banana flavour! Chocolate and peanut butter are popular flavors to add to banana ice cream (with good reason!). We have those, along with a tropical coconut lime variation for you! If you’re wondering, “What is nice cream?” it’s a fruit based ice cream (usually with no dairy). 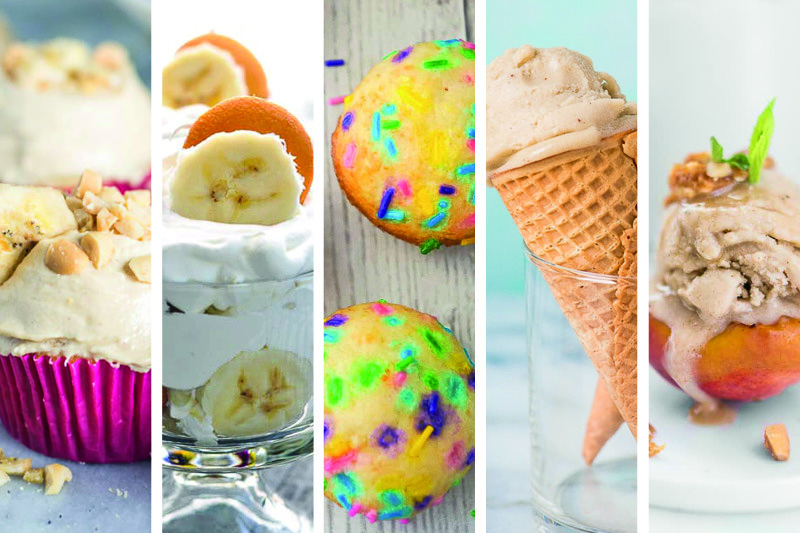 Bonus: These are all ice cream recipes you can make without an ice cream maker! 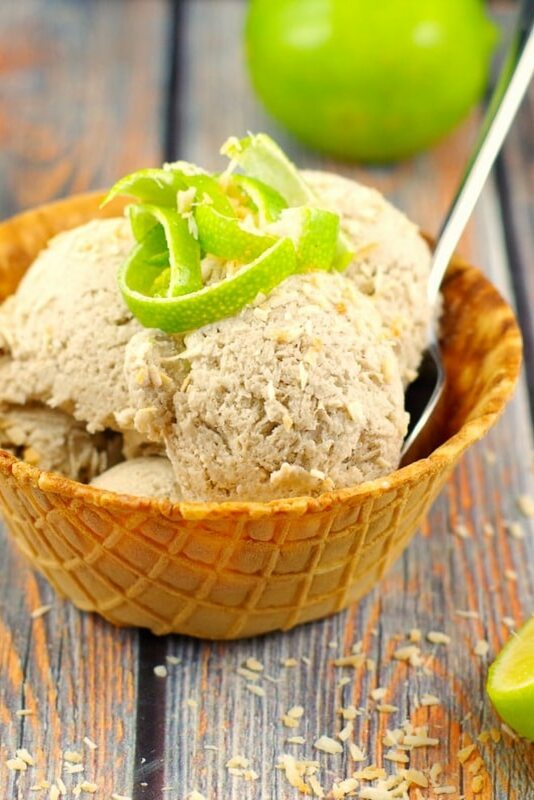 💛 Food Meanderings brings us this tropical Coconut Lime Nice Cream and I can’t wait to try it, because coconut and lime is one of my favourite flavour combos! It sounds so refreshing! 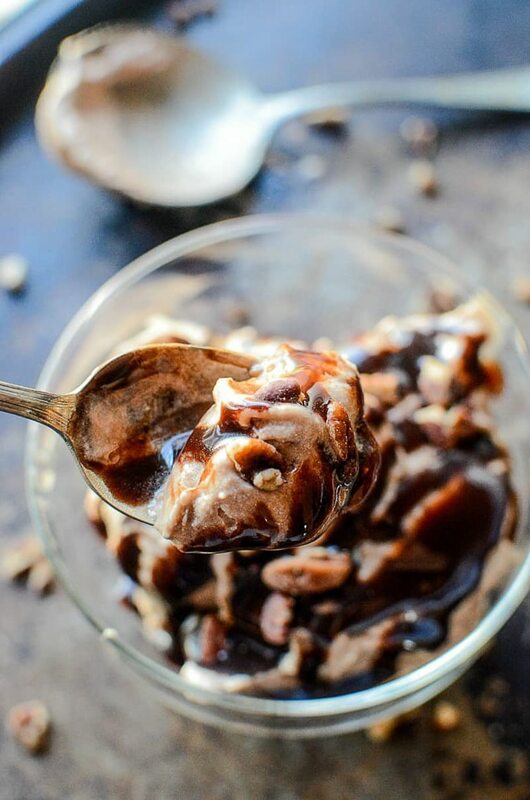 💛 This Chocolate Peanut Butter Banana Ice Cream from Midlife Healthy Living looks so decadent and dreamy! 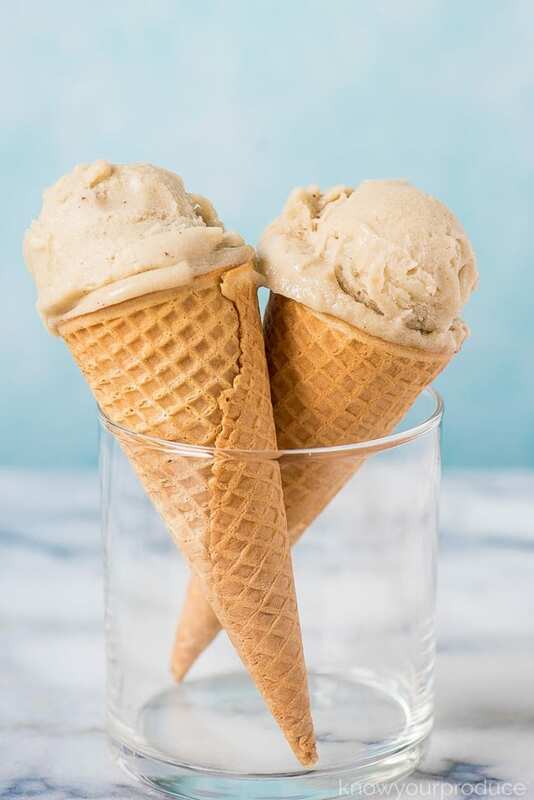 Perfect for a mid-summer treat! 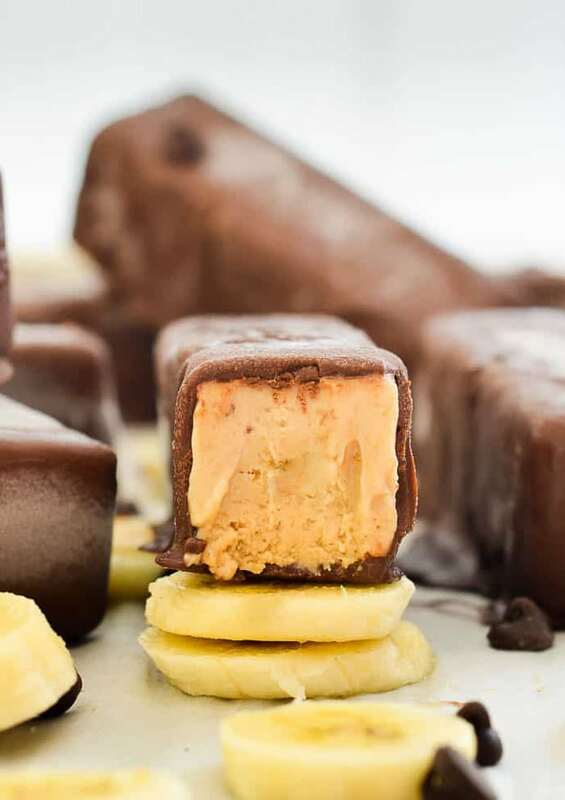 💛 I absolutely LOVE the idea of these Easy Peanut Butter Banana Ice Cream Bars from A Virtual Vegan. I can’t wait to make them for my kiddos (and us adults too, of course!). They look as good as any ice cream bar you can buy! Looking for gluten free or vegan banana bread, or banana bread with delicious add-ins (think blueberry, chocolate, nutella or pumpkin)? Or just an easy, healthy, moist banana bread? We’ve got you covered! 💛 Oh my! 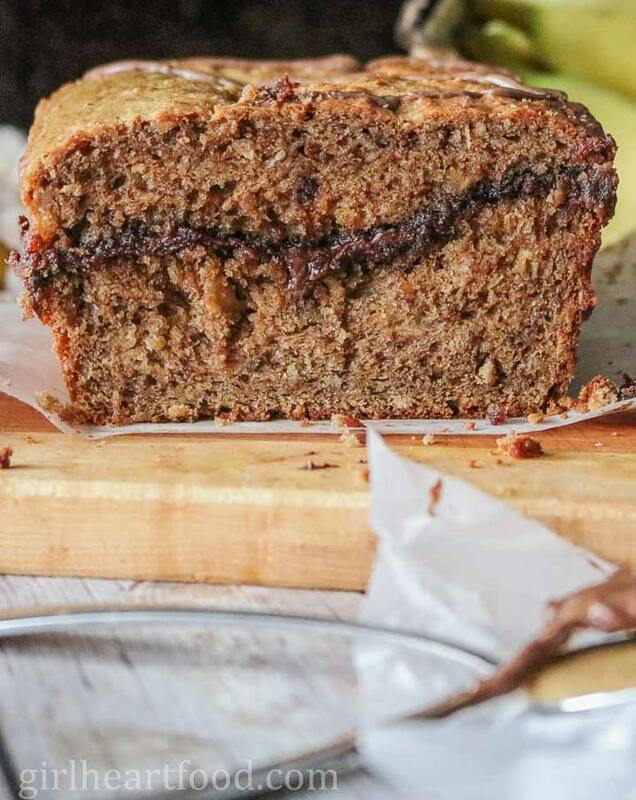 You had me at Nutella, with this Peanut Butter Banana Bread with Nutella, from Girl Heart Food. It looks like the perfect sweet treat! I can’t resist anything with Nutella in it. 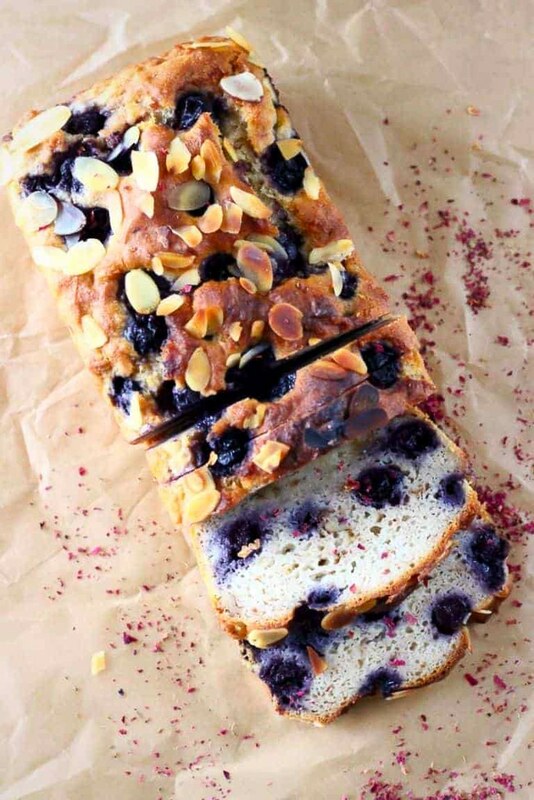 💛 Isn’t this Gluten-Free Vegan Blueberry Banana Bread from Rhian’s Recipes just gorgeous?! It looks like the picture of summer, filled with juicy blueberries. And I love that pretty much anyone will be able to eat it! 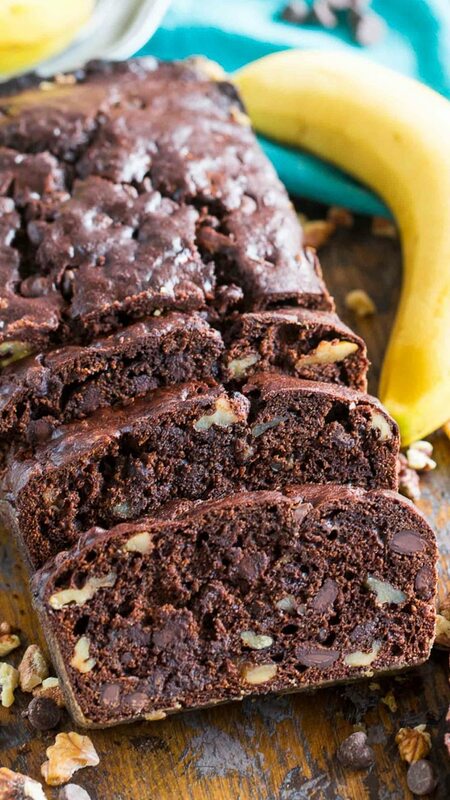 💛 Sweet and Savory Meals brings us this Best Chocolate Banana Bread, packed with bananas, chocolate and walnuts. It can be made ahead and it’s freezer friendly. I can’t wait to make it for brunch! 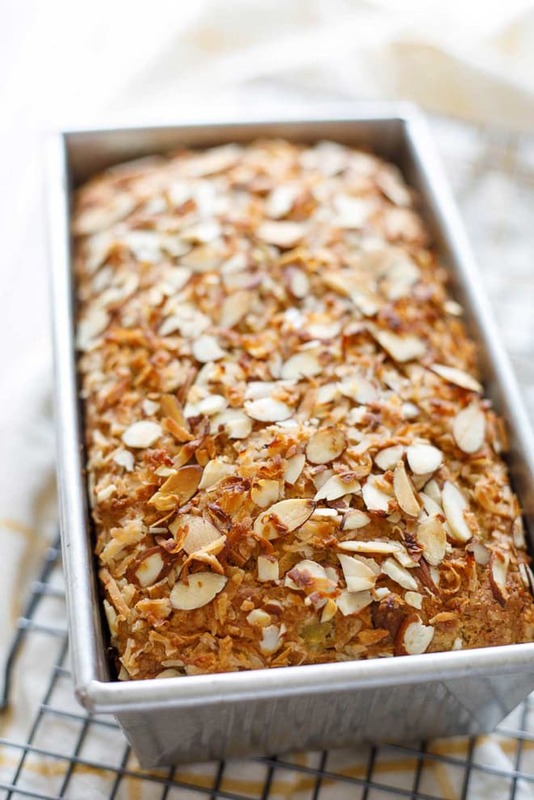 💛 Packed with bananas, pineapple, coconut and almonds, this Healthy Hawaiian Banana Bread from Two Healthy Kitchens sounds like an amazing marriage of delicious and healthy. I can’t wait to make it! 💛 This Pumpkin Banana Bread from Spaceships and Laserbeams is the perfect moist banana bread and a great way to use pumpkin puree, which adds a healthy boost to it! Sounds like the perfect fall recipe to me! 💛 Healthy Vegan Banana Bread from The Belly Rules the Mind is packed with healthy ingredients that are still easy to come by, for a clean-eating way to make banana bread! 💛 Zucchini Banana Bread from Sweet ans Savory Meals is tender, pretty and a great way to use zucchini from your garden this summer! Did you know that you can make banana bread in a slow cooker? What about banana bread in an Instant Pot (pressure cooker)? And they look great! Also, there is a single serving banana bread for when you just need that banana bread fix, and a sneaky little trick for anyone on the keto diet who misses banana bread! 💛 I’m so impressed with this Instant Pot Banana Bread from Simply Happy Foodie! 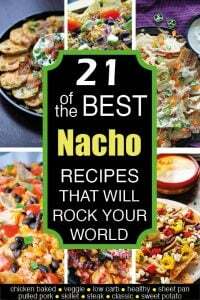 It looks great, and it gives me one more reason to break out my Instant Pot and get busy cooking with it! 💛 This quick and easy Banana Bread Recipe for One from One Dish Kitchen is perfect for anyone who lives alone or just wants to take care of a late night banana bread craving! 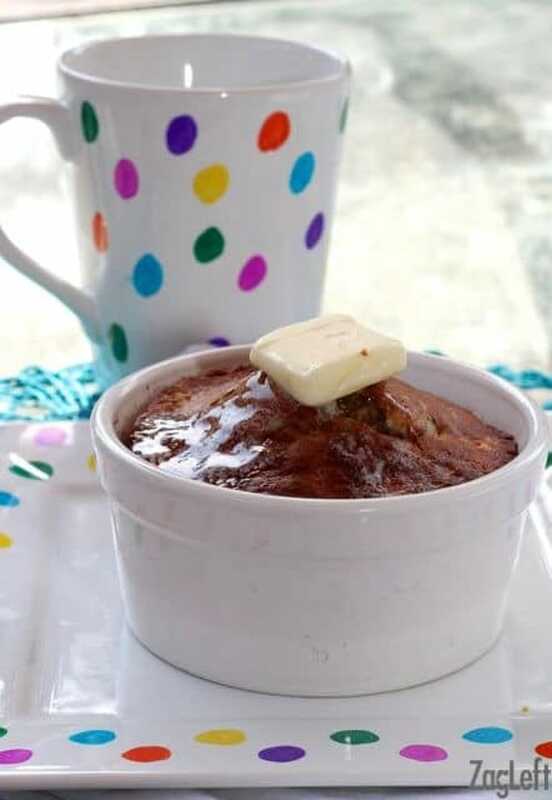 💛 This Slow Cooker Banana Bread from A Magical Mess is the perfect solution for hot days when you don’t want to turn on your oven, or busy cooking days when your oven is already full! What a nice hands-off way to make banana bread! Whew! Wow! 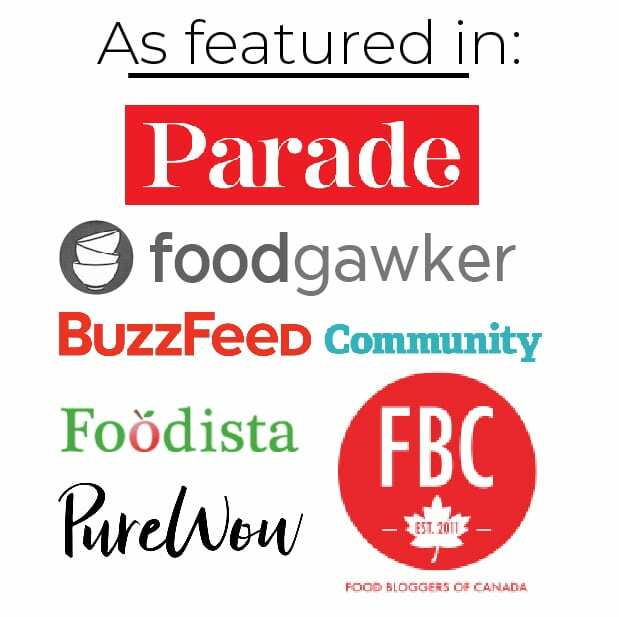 Thanks for sticking with us through that huge list of AMAZING recipes for ripe bananas! I hope you guys found some inspiration here – I know I did! Thank you for including me! And congrats on the new baby! GREAT collection of recipes which would be wonderful to have when those bananas turn brown! Sharing!! Congratulations on your baby, too!